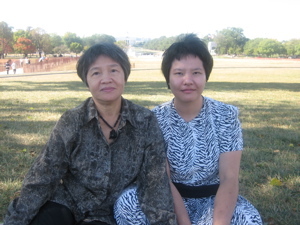 IT recently spotted mother-daughter duo Hoachi Dinh and Baochi Doan sitting on the National Mall, gazing up at the Washington Monument. Originally from Ho Chi Minh City (Saigon), Vietnam, the two currently live in Tampa, Fla., and flew to the capital for vacation and a little bonding time. In this edition of “Talk to a Traveler,” IT learned what’s unique about Saigon. What do you think of the nation’s capital? Fall is a great time to visit. The weather is cool and it’s easy to get in to see a lot of the museums. We’ve seen the White House, Capitol Hill, and a lot of government buildings. Our favorite is the EPA. We didn’t actually get in, but we loved looking at the building from the outside. It’s huge! Well, DC is a lot different from Tampa, not to mention Saigon. 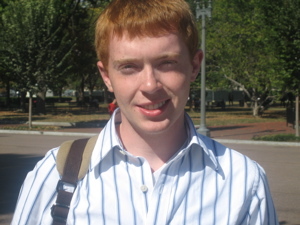 What impression would someone from here have of Saigon? It’s more similar than you might think, especially now. A lot of KFCs everywhere, huge construction projects, and a ton of people everywhere you go. A lot of pollution too. Now that there are direct flights from California and New York, there are a lot more people visiting. I think we have our fair share of fast food chains here. How about food that’s a little more authentic? Our food is a lot less rich [in Saigon] than here in the States. Less butter, grease, and oil. The diet is really based on fish, rice, and noodle soups. I think the street vendors have great food. Pho is really popular too—beef noodle soup. What's something different that people can do while they’re visiting Saigon? Taking a boat along the Mekong River is really fun. A lot of them sell tropical fruits and orchids, and you can take one of them into the suburbs. You can rent a boat in the west of Saigon [and explore] a lot of little villages.